During his visit of this annual event Dr Owen Bonnici – Minister for Justice, Culture and Local Government, mentioned how Notte Bianca has become important in the country’s cultural calendar as it offers the general public the opportunity to enjoy Valletta. Minister Bonnici added that this continues to build up on the government’s priority to make culture more accessible by making artistic exhibitions and historical sites free of charge for everyone. Dr Bonnici thanked all artists and the staff who took part in this year’s edition and praised their work which is contributing to adding value to Malta’s cultural quality. 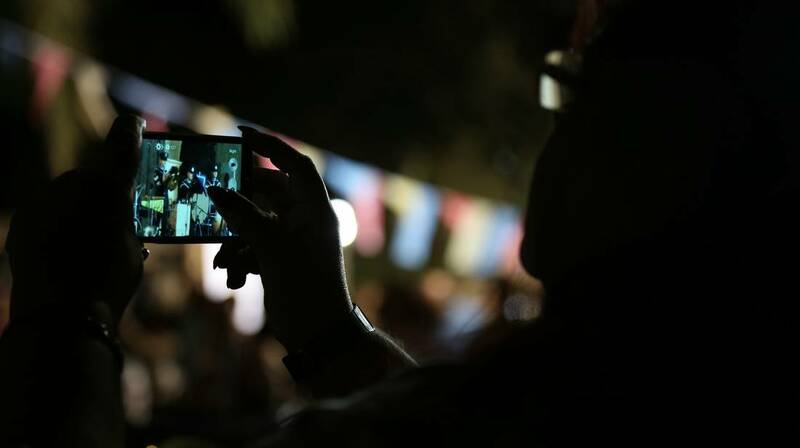 This year’s Notte Bianca included an important collaboration – the La Fura dels Baus workshop led by the Spanish theatre group themselves, who worked with local artists and theatre practitioners, to deliver an interactive performance which required the use of an app. La Fura dels Baus will be performing during the Valletta 2018 opening festivities on 20th January 2018, where an outdoor acrobatics performance will blur the line between audience and performer. Members of the public visited Pjazza Valletta 2018, our relaxing chillout area which was located in Castille Square. Visitors got to know our Cultural Programme whilst enjoying free popcorn and an installation by Late Interactive, which was originally commissioned for Science in the City for 2016. Notte Bianca now will pass on the baton of the largest annual event to Valletta 2018 when next year Valletta will be given the European Capital of Culture title to continue showcasing Malta’s creative and cultural sector on a national scale. Notte Bianca was organised by the Festivals Directorate with Arts Council Malta under the Ministry of Justice, Culture and Local Government, with the support of Valletta 2018 Foundation, Valletta Local Council, MSV Life, Farsons and PBS.